Spring brings new light into those dark closets. 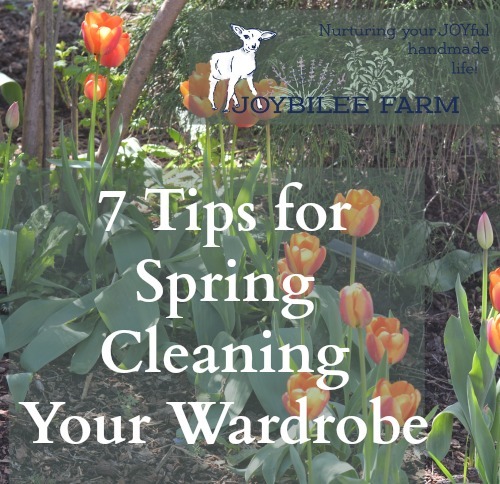 While you are spring cleaning your house remember to spring clean your closet. Move your sweaters into storage and bring your summer clothes into your closet. It’s a little chilly yet, in the evenings but the sun is definitely beginning to warm things up during the day. 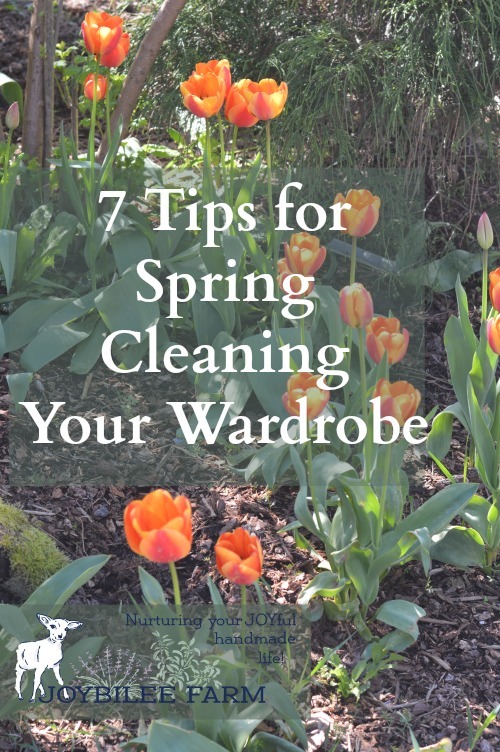 Here’s some tips for spring cleaning your wardrobe, getting your clothing ready for the change in the seasons. and updating those summer garments to give them new life. 1. Before you put your woolens away wash them. Moths are attracted to dirt, body oils, and food stains. So before you put your winter woolens away for the season wash them in warm water with a warm rinse. And hang them up to dry outdoors. If your garments are dry clean only, send them to the cleaners before you store them. Follow the care directions on the label. Suit jackets and suit pants generally have interfacing that will shrink if put in water, so be sure to dry clean those. Sweaters can generally be hand washed. Moth repellent herbs include lavender, mugwort, wormwood, pyrethrum daisy, cinnamon, citrus peels, cloves, peppermint, thyme, eucalyptus, and cedar wood. You can use a combination of dried herbs and essential oils to fool moths into bypassing your closet for other digs. Neem essential oil, lavender essential oil, and eucalyptus essential oil are good essential oils to add to your moth repellent sachets. Sachets are not designed to kill moths, so your clothes should be free of moth eggs and moth larvae before you add the sachets. The sachet is designed to fool moths into thinking your woolen clothes are not wool by covering up the scent of wool. Refresh your sachets annually or when the scent dissipates. Your blend should smell strongly herbal to confuse moths from laying their eggs in your woolen garments. This is the recipe I use. I make a 6 cup batch of this and hang the sachets among Mr. Joybilee’s Harris Tweed jackets. Blend all the ingredients in a bowl. Pour over the essential oil using a ratio of ½ tsp per 4 cups of dried herbs. 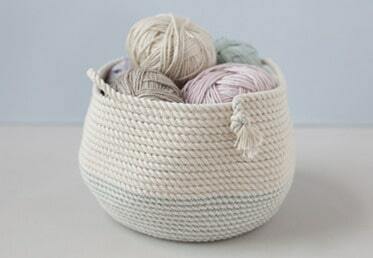 Scoop ½ cup of the mixture into a medium size muslin draw string bag, like this kind. Use the draw string to hang on a hanger among your woolen suit jackets or coats. Tuck a few sachets into your sweater box or sweater draw. Pop a couple of these sachets into your blanket box among your woolen blankets. Find out more about eradicating wool moths from your closets with these tips from Wearing Woad. Can you believe some people throw out perfectly good clothing just because it needs a button or it has a tiny tear that a few stitches will fix? Before you put your woolens away for the summer, get out the needle and thread. Sew on buttons, repair holes, stitch up the hems. Then when you take those clothes out again in the fall they’ll be in good repair. Mending clothing is the sustainable and eco-friendly way to maintain your wardrobe. You can dye your old clothes with some new colour using chemical dyes at home. While I prefer using natural dyes on natural fiber, you can also use chemical dyes like RIT dye on natural fiber. RIT is a compound dye that is good for both plant fibers and protein fibers. For dyeing purposes rayon will dye like cotton, and nylon will dye like wool. Polyester fabric requires a specialized polyester fabric dye for good colour. Check out the class from Creative Bug for step by step instructions for dyeing clothing with RIT dyes in your washing machine or Polyester specific dyes on your stove top. You’ll be amazed at the final unveiling. This technique can also be used on thrift store finds, so be inspired! But if you decide to try this, please don’t send the waste dye water into your city’s waste water system. Dispose of dye waste like you would other chemical residues. City waste management systems aren’t designed to remove toxic chemicals from sewage waste. You don’t need to use complicated sewing patterns to create stunning tops and dresses for your summer wardrobe. You can make a pattern with a well-fitting t-shirt and create all the clothing that you want. See this short course from the Creative Bug and find out how to create your own custom wardrobe that fits you perfectly using a t-shirt as a pattern. Once you’ve sorted through your wardrobe, pick a few shirts or t-shirts that fit you well, and embellish them with details that make them infinity personal and unique. Check out these classes taught by Natalie Chanin of Alabama Chanin for inspiration. Natalie Chanin is one of my inspirations. She is reviving the lost art of handsewing and turning it into couture fashion using organic cotton fabrics, sustainable design, and eco-friendly natural dyes in all her pieces. While her garments are outside of my budget — one dress goes for $3,000US — these classes teach the hand sewing and embellishment techniques necessary to recreate her garments at home. Yes, you can make a $3,000 dress at home with your own two hands, should you desire. 7. Let Creative Bug inspire your Spring Cleaning with over 700 creative classes! How does Creative Bug work? Like Craftsy, Creative Bug has online classes that teach you how make things. That’s where the comparison ends. While with Craftsy you buy each class separately and watch it at our own pace, with Creative Bug you join a membership site and have access to all their classes as long as you are a member. Each month that you are a member you get to pick one class to save in your personal class library, that’s yours to keep even if you stop your membership. You get access to over 700 classes to watch every month you are a member. New classes are added monthly. Creative Bug classes are short classes. You can watch a full class from beginning to end in 35 minutes or less. So you can easily take in several workshops a month. Just pick the area that you are interested in and start exploring. I loved the Rope Basket Class that I watched this morning. I first heard about it from Angi at Schneiderpeeps. Angi has turned this beautiful basket craft into a part time business, and it started with this video class from Creative Bug. I was glad to finally get to watch it. Those new to Creative Bug get a 14 day free trial to see if Creative Bug is for them. 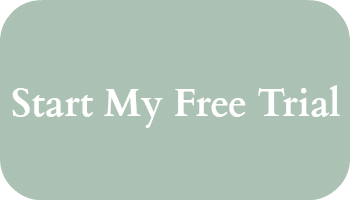 Go here to sign up for your FREE trial. What a refreshing article! We don’t really pack away “winter woolens” since we don’t really have any, but I do go through our closet and put the jackets and coats in the back and pull the lighter weight clothes to the front. I’m glad you liked the coiled rope class. I can’t wait to see the ones you make!